Fine & Country Pembrokeshire supporting Narberth’s bid for ‘Great British High Street Awards’. 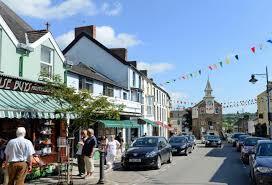 - Fine & Country Pembrokeshire supporting Narberth’s bid for ‘Great British High Street Awards’. Home > Back > Fine & Country Pembrokeshire supporting Narberth’s bid for ‘Great British High Street Awards’. Fine & Country Pembrokeshire supporting Narberth’s bid for ‘Great British High Street Awards’. Narberth High Street has been shortlisted from over 150 applications in the Rising Star category of the ‘Great British High Street Awards 2018’ - which aims to find the UK’s most ambitious high street. After a rigorous selection process, Narberth High Street was chosen by an independent judging panel to be shortlisted for the award, alongside Cardigan in Ceredigion, and Cowbridge, Glamorgan.The shortlisted twelve ‘Rising Star’ high streets will now battle it out in a public vote, which accounts for 30 per cent of the final scoring, and will then have the chance to impress an expert judging panel as they seek to be crowned Britain’s best. Those interested in participating in the public vote can visit www.thegreatbritishhighstreet.co.uk for more information. The winning entries for both the Champion and Rising Star categories will be announced on November 25 at an awards ceremony in London. The bid by Narbeth Chamber of Commerce followed research commissioned by Visa, sponsor of the 2018 Great British High Street Awards, which revealed promising signs of renewed confidence in the country’s high streets despite a challenging retail environment. 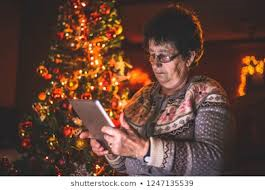 The research from Visa found that more than half of the nation’s independent high street retailers interviewed are optimistic about the future of their local high street, whilst four out of five shoppers would miss their local high street if it was no longer there. High Streets Minister Jake Berry MP said: “I’d like to extend my congratulations to Narberth High Street for being shortlisted as one of the UK’s most ambitious high streets in this year’s Great British High Street Awards. “The calibre of entries has been extraordinary, with each showing the passion, innovation and technological advancement needed to meet the challenges faced by independent high street retailers today. Councillor Paul Miller, Pembrokeshire County Council’s Cabinet Member for Economy, Tourism, Leisure and Culture, said: “Narberth being shortlisted is a testament to the work and effort put in over a number of years by local business and the wider community. The Great British High Street Awards 2018, which are being run by the Ministry of Housing, Communities and Local Government, sponsored by Visa and backed by other partners, is recognising and celebrating local achievements on our high streets and supporting the communities in which we live and work.